A translation of Python's itertools to R.
#' This is my function. Ensure you have a Github account. Next, visit the Github help page to set up your Github auth token. Make sure git is installed. Open up your terminal, and ensure git is installed by running which git (if you do not see git not found, then you have to do nothing). If you do not have git, run brew install git. Next, configure your git identity. 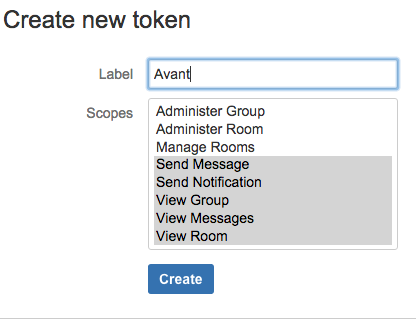 Setting up your hipchat token. First, visit the Hipchat account API page. You will have to login with you avantcredit.com hipchat account. You can use any kind of data ingest your heart desires. The built-in import stage comes with support for many common formats (link), but it is easy to add more (link). If you wish to use your live production data, write a package and add an import adapter (link). What is a mungebit and why are you making up words? A mungebit is the correct mathematical abstraction for wrangling a data set in a way that you won't have to bug a software or data engineer to make it "production ready" or live in "the data pipeline." It means you can turn the 90% of time data scientists spend on data wrangling into 10%.